Even if you don't have a patch of ground, you can quickly create an indoor dish garden to brighten your home or give as a gift, this time of year. 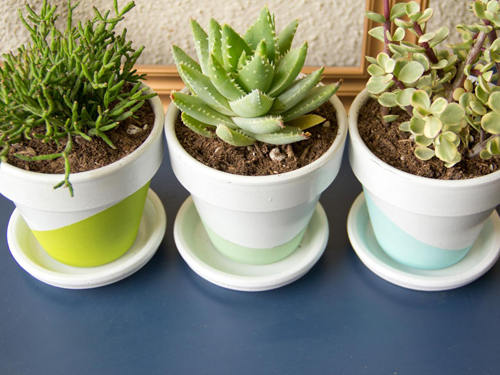 Small specimens of cactus and succulents are ideal for these tabletop pots, and many plants can coexist happily in the same container. Part of the fun in designing a min garden is choosing plants, pots and textured mulches. Cactus & succulents have very shallow roots and don't need a deep planter. You can use round, rectangle or square. Whatever you like. We offer some lovely glazed planters that come with saucers that are perfect for this type of planting. 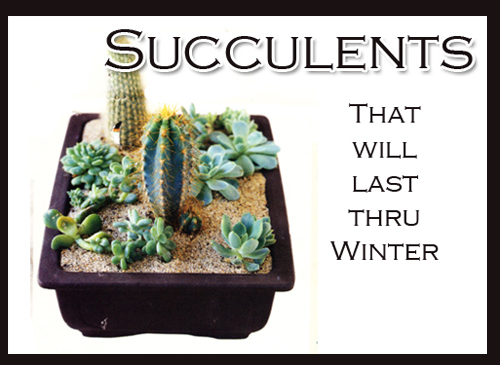 Many succulents and exotic plants will last through the winter with very little care. If you use plants that aren't hardy make sure to place them in a sunny spot indoors. After a year or two, plants may outgrow their containers. Transplant them into bigger pots and re-group them in their containers. The number of plants you need depends on the size and number of containers and the size of the plants. If you buy two few, they will fill in by the end of the season. If you buy to many you can cram them together into the pots. Next spring, examine the soil in the containers. Tiny seedlings of moss rose may be sprouting. If left undisturbed, they will produce colorful blooms once again. Get kids involved in these types of projects. 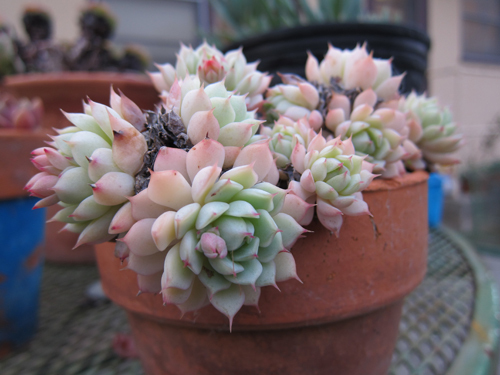 Kids love the texture of succulents and they will read out to feel the smooth and prickly surfaces. Choose plants so that at least one will bloom in every season. With thoughtful choices, you can have all season color. Read more.....How to make vases sparkle! 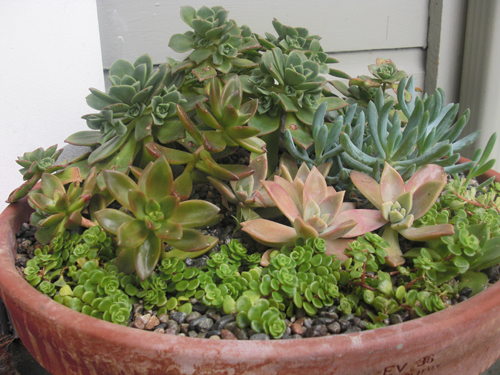 Read more.....Cacti & Succulents in pots!